Total Time Since Re-Life™: 0.0 hours. Total Cycles Since Re-Life™: 0.0 cycles. 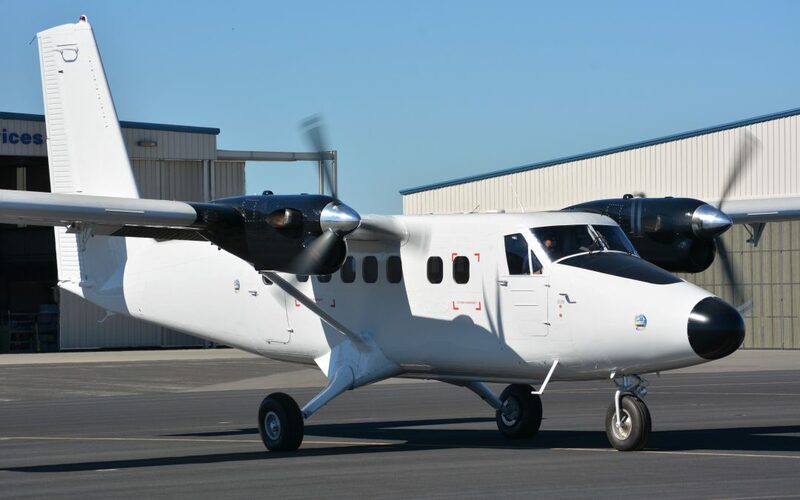 IKHANA’s Twin Otter X2™ is a completely remanufactured Re-Life™ version of the legendary DHC-6 series Twin Otter. 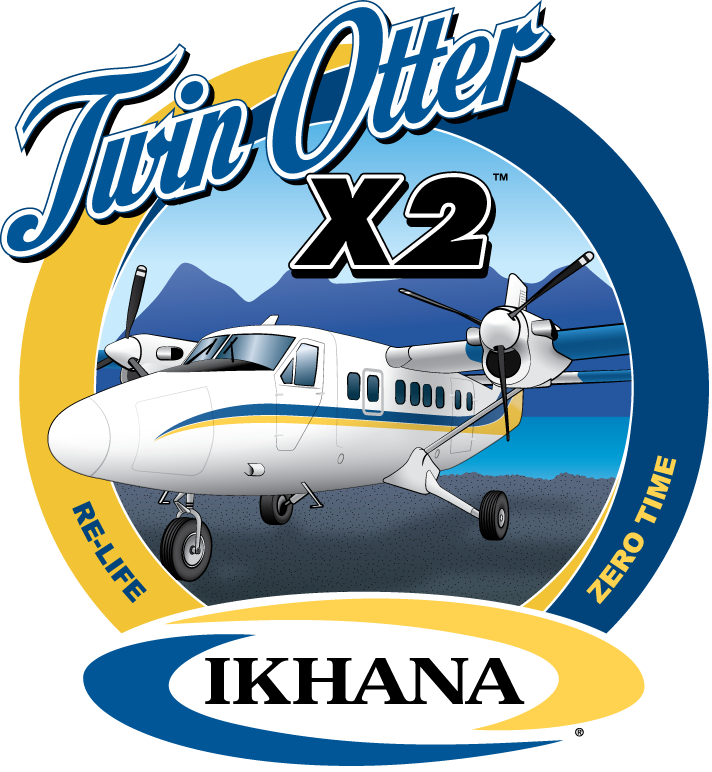 The Twin Otter X2™ is offered with “Zero-time” and “Zero-cycles” for the structural fatigue life and airframe components. IKHANA RWMI DHC-6 Re-Life Fuselage™ per US FAA Supplemental Type Certificate (STC) No. SA02380LA, Canadian (TCCA) STC No. : SA15-7, European Union (EASA) STC No. 10052608, with new structural life limits of 66,000 hours/132,000 cycles. IKHANA RWMI DHC-6 Re-Life Wing Boxes™ per FAA STC SA00160LA, TCCA STC No. SA-96-65, EASA STC No. 10053323, with new structural life limits of 45,000 hours/90,000 cycles. IKHANA DHC-6 Re-Life Nacelle™ per FAA STC SA02474LA, TCCA STC No. SA15-14, EASA STC. No.10048850, with new structural life limits of 45,000 hours or 90,000 flight cycles. IKHANA DHC-6 Re-Life Flight Controls™ per FAA STC No. SA02457LA, TCCA STC No.SA14-62, EASA STC No. 10048528, with new structural life limits of 66,000 hours/132,000 cycles. New fuselage, wing, and nacelle wiring harnesses, with remanufactured electrical panels and new circuit breakers. All system components are fully checked, factory-new or newly overhauled, as appropriate. Fixed wheeled landing gear, overhauled, with new tires and Cleveland wheels/brakes. Current maintenance inspections (Basic A, B, C12, and D Checks per DHC PSM 1-6-7). Baseline five (5) year corrosion inspection I.A.W. DHC-6 Corrosion Inspection Manual, PSM 1-6-5. Exterior painted white with DuPont™ Imron® polyurethane enamel, no stripes, wing exhaust path painted black, with registration markings. FAA Standard Certificate of Airworthiness. PT6A-27 Engines: Zero-Time since overhaul; with option for factory-new. Standard nineteen (19) passenger commuter seating configuration. Forward passenger entry (swing) door. Seats covered in durable, fade resistant fabric/vinyl materials (customer color choice), with seat belts. Commuter-type “hard shell” Kydex interior. Garmin GTN750 touch screen NAV/COM/WAAS GPS transceiver with VHF/VOR/ILS/GS capabilities. Garmin GTN650 touch screen secondary NAV/COM/WAAS GPS transceiver with VHF/VOR/ILS/GS capabilities. Mid-Continent MD302 Standby Attitude Module (SAM). Artex 406 AF ELT with whip antenna. TAWS Class A or B. Final pricing to be based on selected configuration and related options. Options pricing available upon request. PT6A-34 Engines: Zero-Time since overhaul; with option for factory-new. Customized seating and interiors: Commuter, VIP, Utility, Paratroop. Garmin G950 Avionics Suite is now available. Special use 14,000 lbs. Gross Weight Increase, Restricted Category STC. Extended range wing leading edge tip fuel tank system. Enclosed lavatory (forward or aft cabin). Camera hatches (forward and aft) for special airborne sensors. Amphibious or Float Landing Gear. IKHANA Group Inc. Proprietary. This document contains information, which is proprietary to IKHANA Group, Inc. /IKHANA Aircraft Services or one of its customers. Any reproduction, disclosure, or use of this information, without IKHANA Group, Inc.’s prior written consent, is expressly prohibited. Copyright 2016 IKHANA Group Inc.